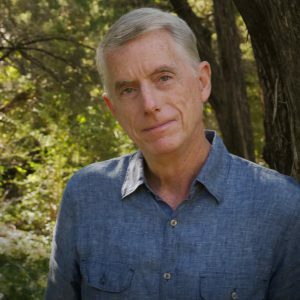 Hill Country Conservancy is pleased to welcome Scott Parker as HCC’s Director of Land Conservation. His incredible talent, extensive experience, and life-long dedication to conservation will be valuable contributions towards HCC’s efforts to keep the Hill Country— here forever. Scott’s long and impressive career in conservation began in 1987 at The Trust for Public Land (TPL) in California. There, he spent over three rewarding decades protecting thousands of acres of vulnerable forest, river, and riparian lands throughout the state. In 1996 Scott, looking to expand the scope of his conservation work, journeyed to Honolulu to open TPL’s first office in the Hawaiian Islands. As the Hawaiian Islands State Director and ultimately National Director of Project Training, he worked diligently to preserve Hawaii’s fragile ecosystems, successfully protecting coasts, cultural landscapes, beaches, farms, and forests. In 2009, Scott relocated to Austin as TPL’s Texas State Director. In this role, he completed many significant conservation projects in the Central Texas area. Notably, he worked to conserve strategic tracts of land located in the Edwards Aquifer recharge zone, including Sink Creek and Purgatory Creek in San Marcos and the Balcones Canyonlands National Wildlife Refuge in Marble Falls. It was this work that led Scott to fall in love with the Hill Country’s unique and varied landscapes igniting his desire to focus his work solely on this region. Having collaborated with Hill Country Conservancy on previous projects, circumstances were ideal to have Scott join the HCC team. As Director of Land Conservation, Scott will work closely with Frank Davis, Chief Conservation Officer, to advance the Conservancy’s mission and land conservation efforts. HCC is excited to have Scott on board to help us keep the beautiful Hill Country—here forever. Finding a place of quiet, comfort, and connection in a natural landscape, wherever I travel. What is your favorite place in the Hill Country? The Hill Country is so beautiful that it makes it difficult to choose a favorite place – although Cow Creek within the Balcones Canyonlands National Wildlife Refuge is at the top of my list. If you could be stuck in an elevator with anyone in the world, who would it be?